Area Inbetween are a youth arts organisation run by two professional artists and youth workers. We specialise in providing fun and interesting workshops for young people at schools, festivals, youth centres and community days. 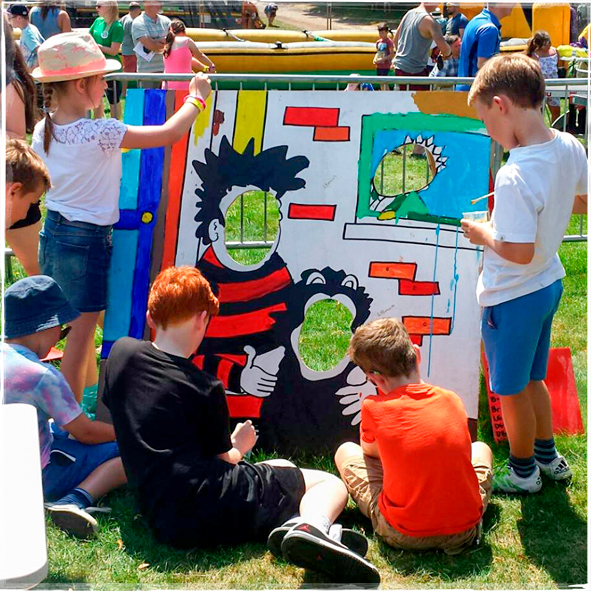 Our mission is to inspire young people through the arts and we do just that with innovative and exciting installations, graffiti, crafts, dance, media, music and more. Our organisation is a non profit community organisation and we believe in protecting the environment by using recycled materials as much as we can with our artwork. Creativity is contagious and we hope to spread our love of art and empower and inspire all our young people with exciting new hobbies and interests! So come on Geronimo…let's get creative!